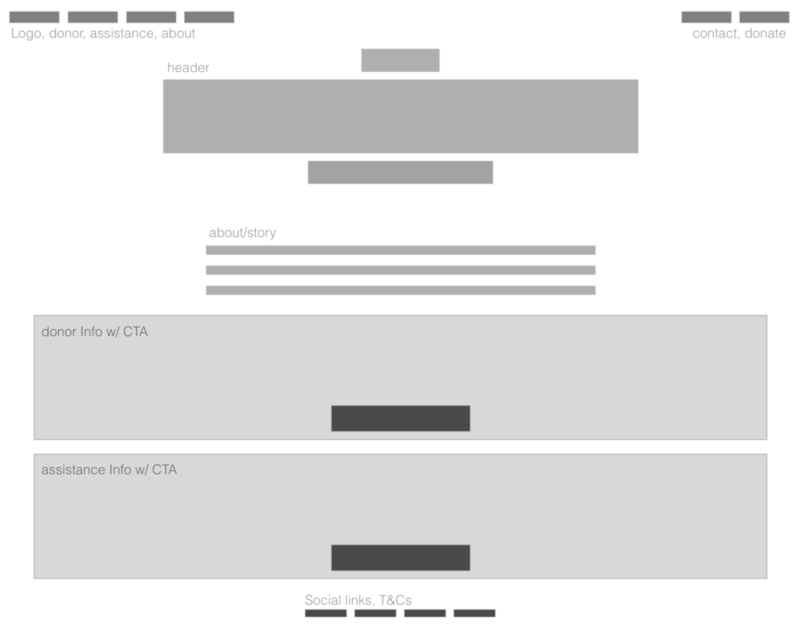 With this in mind, we created a very rough wireframe of the home page structure. As the overall layout of the website begins to take shape, we then begin refining the wireframes into clear blocks. We experiment with a non-CTA header/hero, and a simplified home page with two main, and two secondary CTAs. 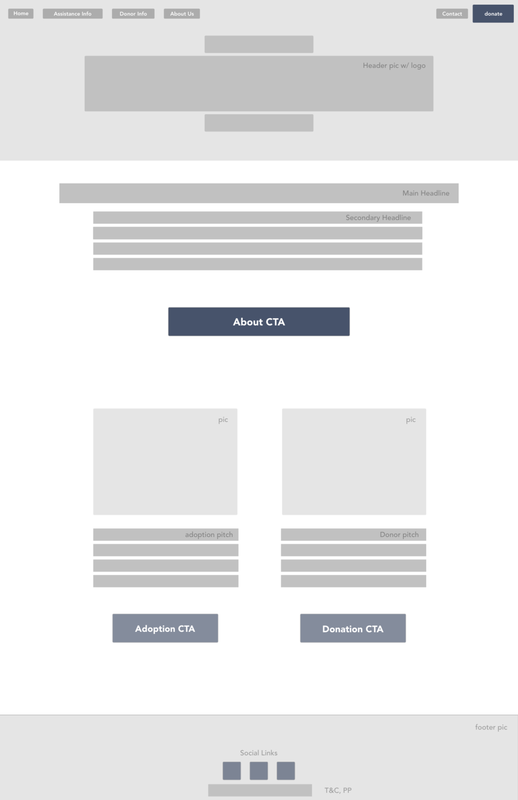 *About the foundation is the main home page CTA as page flow guides users to donation or adoption info. *Donate CTA is visible on all pages via a global header. We then begin experimenting with low-fidelity design, header treatments, simple branding concepts, and color. Very rough design - a quick draft to show general styling concept from the wireframes. We then move into high-fidelity design, as the finishing touches are made on branding, color, and overall site structure. The About CTA moves into the hero image and Donate becomes an outlined button w/ a colored hover-state. The full site ended up with 22 pages and it took about 10 hours of design and research work to complete. To reduce the number of entry fields on each page, the donation form was broken into a three step process. The full process from paper layouts, wireframes, to low and high fidelity design.